Engine and outdrive are in great working condition as per seller. The engine compartment is clean and has plenty of storage room. Carpet is in very good condition. Upholstery in good condition with a couple of noticeable repairs. Cockpit and gauges are in good condition and all controls are in good working order as per seller. 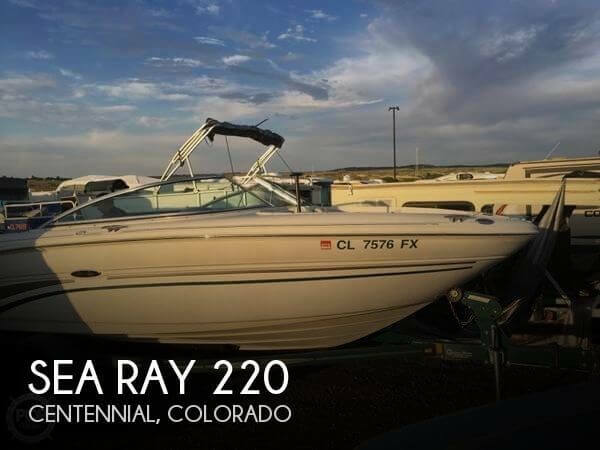 Stock #134864 Sea Ray 220 Bowrider with a 5.0L - 260HP Mercruiser engine -Clarion CD player & AM/FM Radio If you are in the market for a bowrider, look no further than this 2002 Sea Ray 220, priced right at $16,500 (offers encouraged). 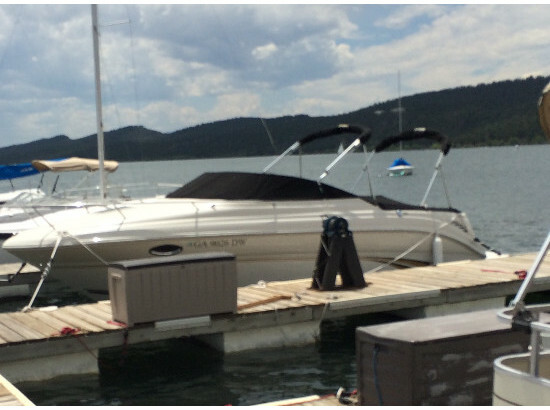 This boat is located in Littleton, Colorado and is in great condition. She is also equipped with a Mercruiser engine that has only 261 hours. Reason for selling is no time to use anymore, kids are grown. 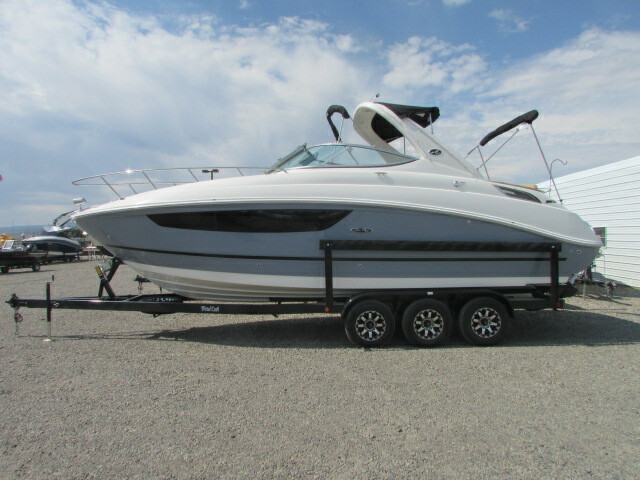 2009 Sea Ray 185 Sport 009 Searay 185 sport, excellent condition, stored in heated garage always, never stored outside. 122 hours. 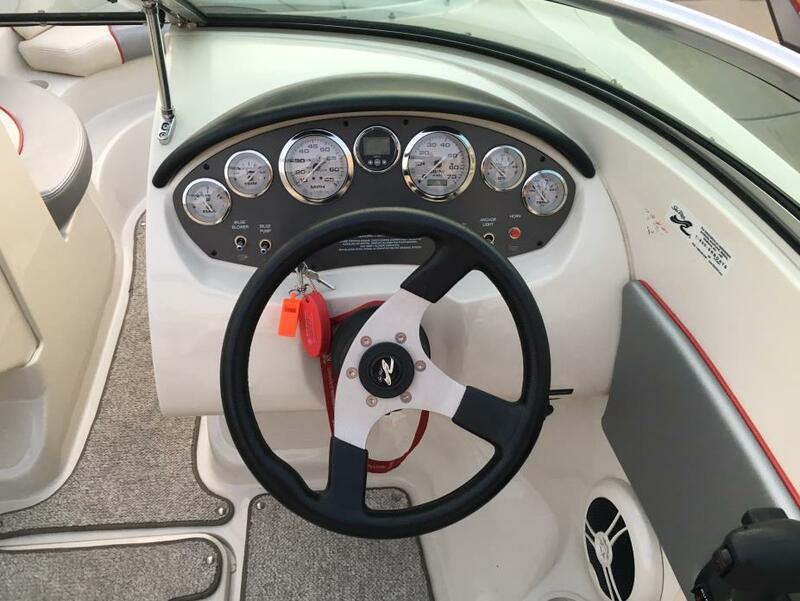 in dash depth finder, am/fm/cd with removable front, 4 speakers, battery - dual w/switch, fire ext., flooring snap in/out carpet, detachable tongue trailer, spare tire, Bimini top, snap on cover, floatation devices. NO DEALERS NO TRADES! 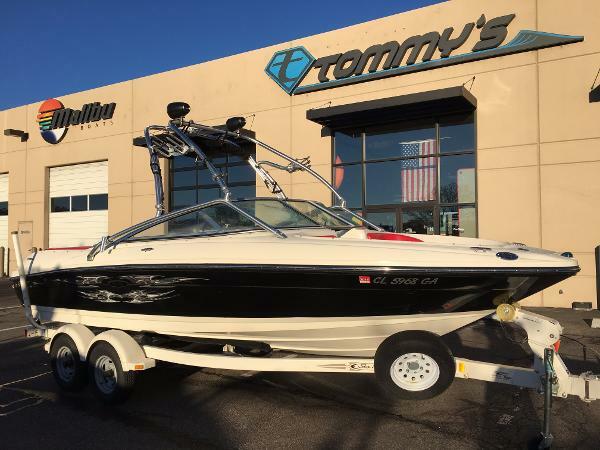 2017 Sea Ray 280 Sundancer with Mercruiser 8.2 380 HP with Bravo Three outdrive. 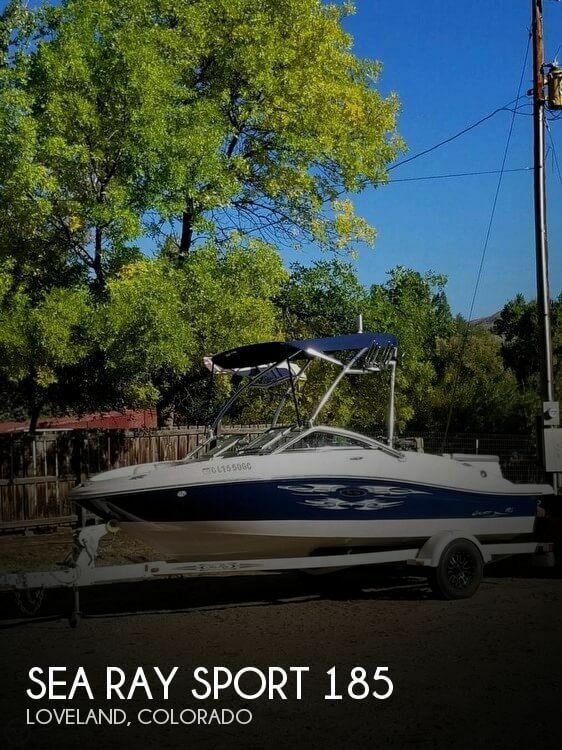 This is a great Lake Powell boat, loaded up with Kohler generator, Air Conditioning & heating, Vacuflush head with holding tank, Microwave & electric range, salon and cockpit refrigerators, rope/chain windlass, remote spotlight, hot & cold transom shower, full camper canvas package and much more. 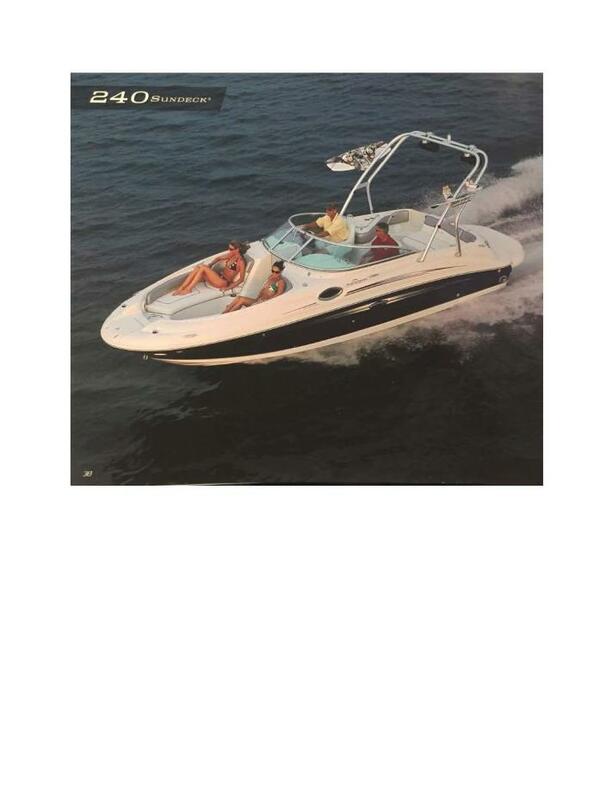 Please contact our sales department to schedule an appointment to see this amazing new boat! 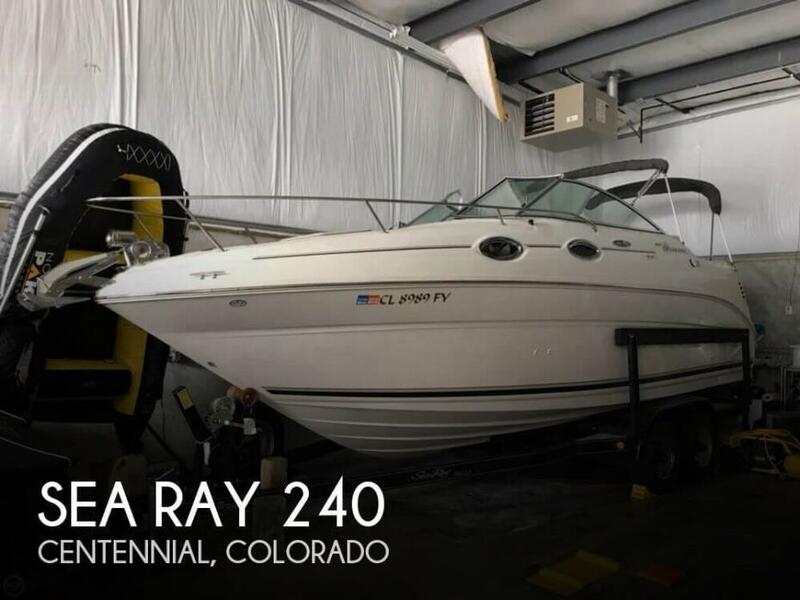 2006 Sea Ray 240 Sundancer, 2006 Sea Ray 240 Sundancer with Mercruiser 350 Mag 300 HP Bravo three dual prop outdrive. Very nice fresh water only boat with 735 hours. 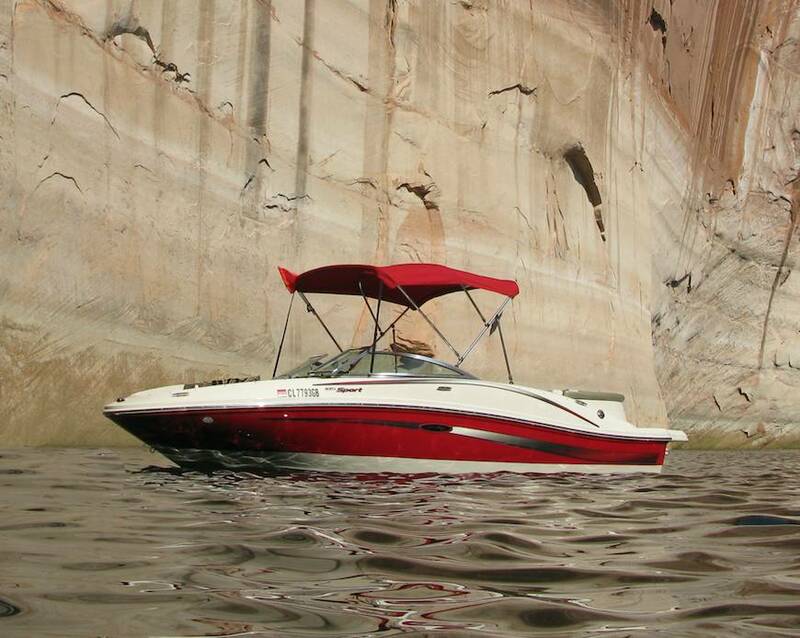 Great boat for cruising and camping on Lake Powell! Please contact our sales department for more info. 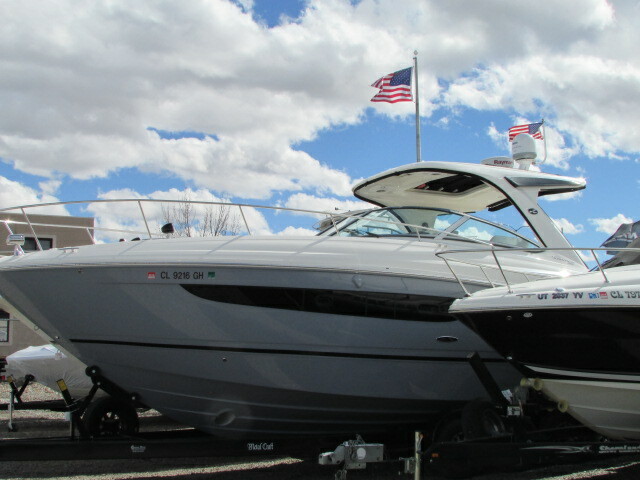 2006 Sea Ray 185 Sport 3.0L I/O, 2nd owner, professionally serviced each season. 191 hours. Swim platform. 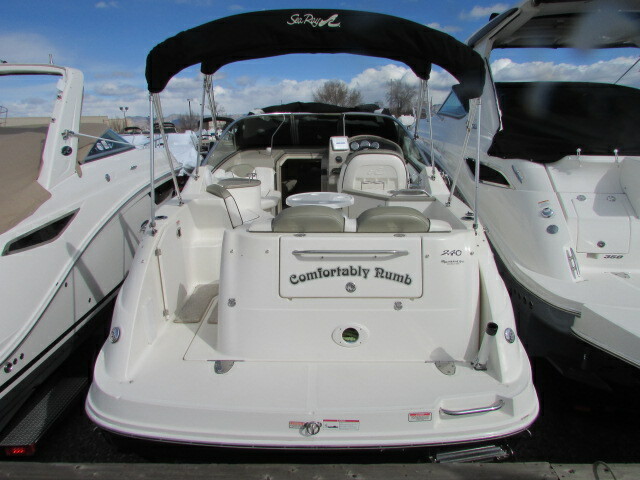 Includes bow and cockpit cover, bimini top, and full hull cover for winter. Kenwood stereo with iPhone controls, JL Audio marine amp, JL Audio Marine speakers and sub. New depth gauge. 2 spare props for various elevations. Holds 8 people, very spacious for a small boat. Single axle trailer, lightweight, can be towed easily. I've been towing with a Toyota Tacoma. I included a few pictures of a few small scuffs here and there. Cash or credit card. 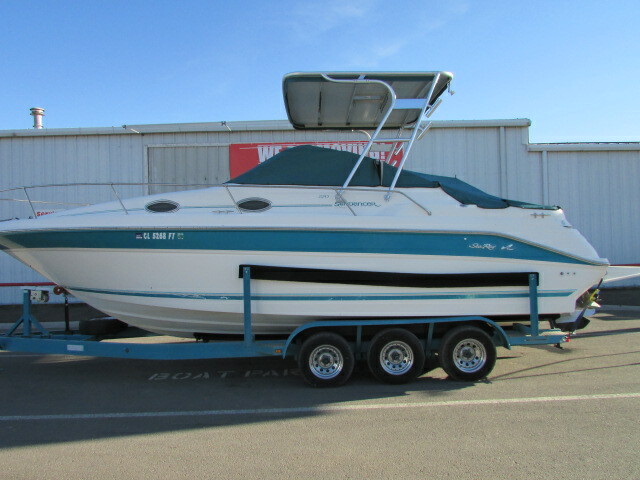 2004 Sea Ray 260 Sundancer, 2004 Sea Ray 260 Sundancer with Mercruiser 6.2 MPI & Bravo Three dual prop outdrive. Very nice fresh water only boat with all the amenities of a larger cruiser. Options include Kohler generator, Cruise Air air & heat, electric range, dual voltage refrigerator, Vacuflush head system, remote controlled spot light, automatic windlass, and tandem axle trailer with brakes and spare. This boat with a low 307 hrs is a must see! Please contact our sales department for more info. 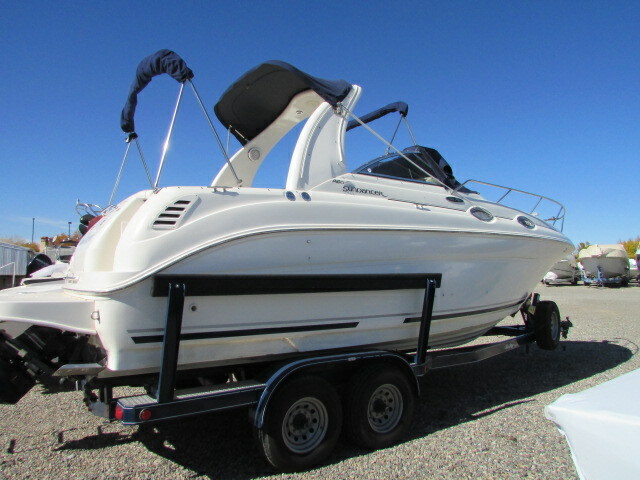 1994 Sea Ray 270 Sundancer, 1994 Sea Ray 270 Sundancer with Mercruiser 7.4L 310 HP and Bravo three dual prop outdrive. this is a very clean FRESH WATER ONLY! boat that is loaded with extras. Options include hard top with two enclosures including isinglass & sun screens, bbq grill, dual voltage refrigerator, alcohol elec stove, automatic windlass, vhf radio and trandem axle trailer with new tires. Please contact or sales department for more info.